Autotrader Bike of the Year judge and TT veteran Michael Rutter became the first rider to clock a 120mph+ lap of the TT Course in winning Wednesday’s one lap SES TT Zero. And later in the day he returned to the TT when he claimed third in the Lightweight TT. In the Zero, riding the team Mugen machine, Rutter was flagged away by His Royal Highness, the Duke of Cambridge, and later received his trophy from the Duke on the TT podium. Afterwards he revealed that he had been feeling the pressure all week to deliver a result for the Japanese Mugen outfit. In the Lightweight, Michael Dunlop took a record breaking win with the Paton rider smashing both the lap and race records on his way to his 18th TT victory. 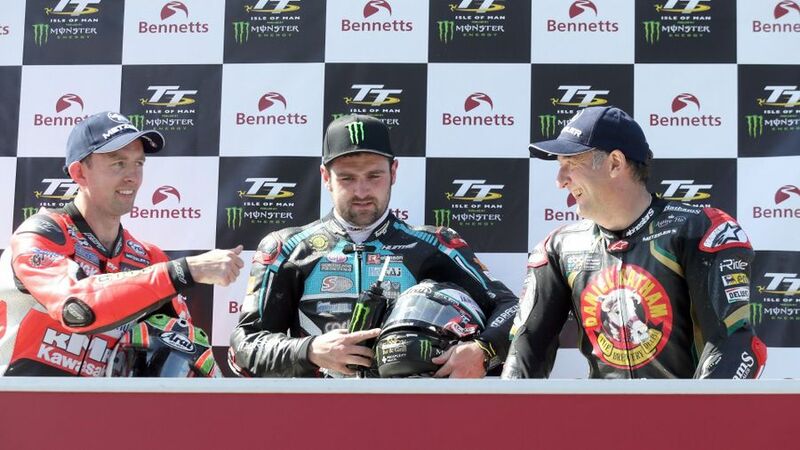 Despite a relatively steady start, Dunlop took advantage of early leader Ivan Lintin’s retirement at Bedstead on lap two and with a new lap record of 122.750mph, he came home 14.6s clear of Derek McGee and Michael Rutter.